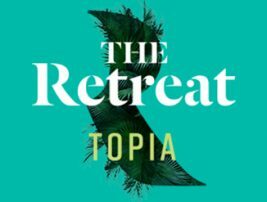 Topia is the second stage release within The Retreat, Sydney’s newest resort-style master-planned community. Rising to 13 storeys alongside idyllic landscaped parklands, Topia’s striking architectural form is home to 190 generously sized apartments crowned by split-level luxury penthouses with beautifully crafted townhouses below. Perfectly positioned in the Sydney Olympic Park precinct, Sydney’s newest residential hotspot, Topia is just 650m to Olympic Park train station and on the doorstep of the proposed Stage 2 Parramatta Light Rail. The precinct will see the creation of a walkable urban community comprising a vibrant main street at Uhrig Road with generous footpaths for outdoor café seating, a 12,000sqm village square and high quality landscaping. For over 50 years, Meriton has become Australia’s largest and most reputable developer, building over 75,000 apartments with a 100% completion record across Sydney, Brisbane and the Gold Coast. Meriton apartments are synonymous with quality and luxury. Uniquely designed by industry acclaimed architects and built by our highly skilled and experienced construction teams. We pride ourselves on the highest levels of workmanship to bring you award-winning developments. Meriton offers a complete and tailored apartment solution, helping you buy, manage, rent and sell. We’re with you all the way.